REITs unit holders have to pay tax in the year of assessment the distribution is received not the financial year of the REITs. Starting for the year 2009, tax rate for the dividend from REIT is as follows. If a unit holder receives other incomes, and Income Tax Return Form (ITRF) has to be filed (e.g. Form BE, B or M), unit holder is not required to include REIT income in the ITRF form as the Withholding Tax is a final tax. 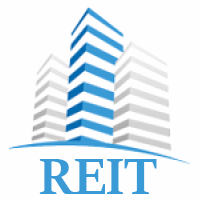 For more information kindly refer to Public Ruling on Taxation for REIT Investment.